Conundrum: a question or problem having only a conjectural answer. Over the span of my lifetime—not the complete span, because I’m still adding to that lifetime—I have heard a certain conundrum repeated an astonishing number of times, and I’ve always wondered why it refers only to a certain branch of our military services, namely the United States Navy. The term that is always used is on the order of spending money like a drunken sailor or like drunken sailors. I have never heard anyone say spending money like a drunken soldier, or airman, or coast guardsman or marine—not even spending money like a National Guardsman. I consider the term a conundrum because any answer given would be purely conjectural. What particular feature, what aberration, whether physical or mental, can we attribute to sailors to explain why we hang that peculiar phrase only on sailors and not on other uniformed personnel? Is it predilection on our part, or in it animosity toward them? Why not on members of the other services? Other military service members—not all, but some—are prone to imbibe strong drink in generous amounts under certain conditions, namely being off-duty at the time, but invariably we toss that bomb at sailors. I will at this junction attest that I have seen members of the other services in conditions that would rival—nay, perhaps surpass—the conduct of any drunken sailor in any situation and I am prepared to sign an official document to that effect. As a retired member of a military service other than the US Navy I have a right to speak, particularly because I have seen non-sailors spending money like—well, like a drunken sailor. Why sailors? Perhaps there is something about naval personnel that causes them to over-imbibe and recklessly, generously, blindly spend money like—well, like a drunken sailor. It may be the fact that after spending weeks without touching port, their pay accumulates because they have nowhere to spend it, so when they manage to land in port, regardless of the location, they spread the money around faced with the full knowledge that soon they will again be at sea. I considered the US Navy for a career before I enlisted, but was daunted by the thirteen buttons—one for each of the original thirteen American colonies. I was also advised by my brother, a salty seagoing sailor veteran of World War II, that the tibia of my right leg, shattered in a baseball game but nicely repaired, would preclude me from sea duty assignments because volleys fired from a ship could aggravate my injury. He told me that sailors on deck when the big guns were fired were told to put most of their weight on their heels or their toes to avoid damage to the lower extremities, that if one stood flat-footed the vibration could possibly cause damage to one’s lower extremities, particularly to lower extremities with previous damages. 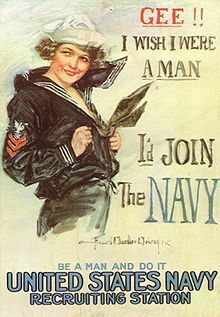 I had a problem imagining sailors in wartime standing and walking around either on their heels or on their toes, and I had serious doubts as to the veracity of that advice. The real reason I did not join the navy was the 13-button trousers worn by enlisted men. Had the trousers been opened and closed with a zipper I probably would have joined the navy and seen the world through a porthole, as the old saying goes. Sailor’s joke: Have you heard the one about the young sailor that was told by a well-seasoned old salt that if he stuck his head through a porthole he would see a submarine. He complied, and a moment later exclaimed to the old salt, I don’t see no su-UB-marine! If you’ve already heard that one, just skip the previous paragraph. I enlisted in the United States Air Force and I have never regretted my decision. I spent 22 years in that service and not once did I spend money like a drunken sailor, primarily because I was never paid enough to enjoy such actions. I joined the United States federal civil service and made more money in wages the first year than I did in my twenty-second year in the US Air Force, including overseas pay, separate rations, and housing and clothing allowances. Today the lowest enlisted rank with two years in service is paid $17,616 in base pay plus all the other benefits. My total pay for my twenty-second year of service, with a wife and three children, including all benefits totaled $14,400 per annum—before taxes. I may bring all sorts of condemnation on myself, but I’m going to say it anyway. Our military people are paid well—extremely well. Let the barrage begin—fire at will! Retired at 10 & 16, a triple-dipper at 20—go figure! The seventh day of March is a red-letter day for me. One of my sisters, the one closest to me in age, was born on that day eighteen months before I made my entrance into the world of 1932 on September 19, one of the more important events of that year. My birth in that month of that year was overlooked by Wikipedia—that organization listed only four events in September worth reporting, and none was on the 19th. If you like, you can click here to read a proudly crafted and craftily presented study of my birth and many subsequent events. The year 1932 was a leap year—had I been born on the 29th of February that year, I could only celebrate my birthday every four years, and by counting only my official birthdays I would now be twenty years old. I share my birth during a leap year with my neighbor, a lady that was born on the 29th day of February. As Don Adams of Get Smart fame would say, while showing a small space between his thumb and forefinger—Missed it by that much! Using the same formula that made my age 19, her leap year birthdays would make her 13 years old. I hold the seventh of March firmly in my memories. On that date in 1949 I awakened at an early hour, performed my morning ablutions, broke my fast, allowed my mother to teach me how to make a Windsor knot in a necktie, dressed and bade my goodbyes, walked the few blocks to the courthouse in Columbus, Mississippi, swore an oath of allegiance to the United States of America, became a US Air Force recruit, boarded a train to New Orleans, transferred to the Sunset Limited bound for San Antonio, Texas, arrived there the following day, completed 13 weeks of training successfully and remained in the United States Air Force for 22 years plus several months. I celebrated my actual nineteenth birthday in 1951 in the middle of a shooting war while based at Kimpo Air Base near Seoul, the capital city of South Korea. If you like, you can click here to learn a lot about Korea and Kimpo and the war, probably a lot more than you thought you needed to know. I realize that it’s childish to compute one’s age on the premise that one was born on the last day of February in a leap year but it’s a lot of fun, and childish and fun somehow go together. I have retired twice from US government service, once from the Air Force with 22 years, and again from a federal law enforcement agency after 26 years of service. Using the leap year computation with a birthday only every fourth year, I would have been 10 at my first retirement,16 at my second retirement and I would now be—at the tender age of 20 years—a triple-dipper with a combined income from military service, federal civil service and Social Security. Hey, I didn’t plan it that way—things just seemed to happen, and as they happened I just went with the flow. Oops, I forgot something—I also have a substantial return from a substantial IRA, one that is earning an annual interest rate of six and one-quarter percent. I suppose that would make me a quadruple dipper. Postscript: I just thought of a letter I wrote to a newspaper editor in McAllen, Texas on the subject of double dipping, a letter that I posted on my blog. Click here to learn how I really feel about double dipping. Letter to the editor, McAllen Monitor, from a double-dipper . . . I wrote this letter to the editor of the McAllen Monitor while employed with the U.S. Customs Service in the Lower Rio Grande Valley. I spent twelve years on the Mexican border (1971–1983) as a Customs inspector, progressing from trainee to first level supervisor to second level supervisor, then transferred to Customs Headquarters in Washington, D.C. This letter was my response to an editorial published by the McAllen daily newspaper, the Monitor. I never got the editorial update I requested, but I was rewarded by several subsequent submissions from the public on my criticism of the paper’s rant against “double-dipping” Civil Service workers, submissions that reflected and supported my comments on the paper’s editorial. Your editorial of Tuesday, August 30 entitled “Welfare—Civil Service Style,” is an unbridled and unprincipled attack on a segment of our population that has done nothing to deserve such an attack. You present only one side of the story and leave too much unsaid. You say that there are 150,000 military retirees in federal service. How many military retirees are not in federal service? You estimate the average annual pensions of the 150,000 at $6,000 plus, and their annual Civil Service salaries at $12,000 plus. You don’t mention the extremes that make up those averages. You don’t mention the retired privates and corporals and sergeants, nor the many low-paying Wage Board and General Schedule jobs filled by military retirees. You say nothing of the merit selection and promotion systems in which military retirees compete equally with all others for employment and promotion. You cite two extreme cases involving high salaries but you say nothing of the positions. Were they unique? Were the retirees qualified? Did they possess unique skills in scientific, professional or administrative fields that were urgently needed by the government? Skills that were not readily available from other sources? Since these things were left unsaid, they could well be possible. You say that “98 percent of those who apply for federal disability retirement get it.” You omit the fact that virtually all those applications are based on years of service completed. Retirement eligibility has already been established. It has already been earned, regardless of whether the request for disability is approved. You use the term “100 percent disability” as an all-inclusive condition, indicating that the retiree is supposedly unable to function as a worker. You either overlook the fact, or you are unaware of the fact that the disability percentage applies, not to the individual but to the percentage of his retired pay that will be exempted from federal taxes. And you overlook the fact that a retiree’s disability may have no effect in the career fields different from the one he is leaving. You say nothing of other retired people in federal service. How many retirees from city, county and state Civil Service systems are employed in U.S. Civil Service? How many retired railroad workers? How many retired policemen, firemen and merchant seamen? How many independently wealthy people are employed by the federal government? Would you have our United States senator from McAllen resign his office? I’m certain his “outside income” is at least equal to the average military retiree’s pension. I am ashamed and embarrassed by your editorial, not for myself or for the other military retirees in Civil Service, but for your editorial staff—for its lack of sensitivity and understanding and for its one-sided presentation of facts. I feel personally offended by such distorted reporting. I traded a military career spanning 22 years and two wars for a pension with no disability. Evidently my disabilities were not among those “relatively easy to fake.” I am now employed with the U.S. government and I am labeled a “welfare case” by you and your staff. I cheerfully admit that I am a double-dipper, and I intend to continue double-dipping after retiring with a full pension at age 60 after 20 years of federal Civil Service. And I also intend to draw Social Security benefits based on maximum quarters paid in during military service. I suppose that will make me a triple dipper. Actually, I am already a triple-dipper because I am currently receiving educational benefits under the GI Bill. I suppose you would consider that another “welfare” payment. You probably won’t get much repercussion from your editorial. The Valley is not a favorite of military retirees because of the high cost of living and the absence of those military facilities that provide additional welfare benefits—hospitals, commissaries, exchanges, etc. A military-oriented community—San Antonio, for example—would react more strongly. Are our past wars really so distant that you feel free to use your critical and influential editorial space and privilege to condemn and label, as “welfare recipients,” people who served their country honorably in the armed forces for 20 years or more? I would appreciate an editorial update, a note possibly, to the effect that while the system that permits double and triple dipping may be faulty, those involved in it are not. Not all of them “faked” their disabilities, and not all of them are simply “dipping in.” They are also “putting back.” Most were professional and dedicated military men, and most will never dip out enough with their pensions to compensate for the hardships, privation, and dangers they endured through their long military careers. No military retiree objects to the highly descriptive, albeit somewhat derogatory, term of “double-dipper.” You may be sure, however, that every retiree objects to the “welfare” label. We deserve, and have earned, more honorable mention. Calling all teachers—don’t correct in red! I’ll begin this posting by referring viewers to an outstanding blog, one recommended by a friend in Wales. Click here for Sentence First, An Irishman’s blog about the English language. If you have a question, ask Stan—if he can’t answer it, then there’s something wrong with your question. For Stan’s stance on the correct color to use for corrections, click here to read his posting of The Red Pen Effect. I also recommend the blog hosted by my friend in Wales—click here for Duck Billed Platitudes, an adventure in art and ornithology and a touch of everything else. I misspent 22 years in the US military and retired, then misspent 26 years in USCS, the United States Custom Service, an organization that has been melded into ICE—Immigration and Customs Enforcement. A quick exercise in arithmetic shows a total of 48 years misspent in government service. I say misspent because I could have entered politics and perhaps have attained the highest office in the land—a quick glance at recent occupants of that office leads me to believe that in comparison I would have been an outstanding president, a shoe-in candidate for placement on Mount Rushmore. Please note that I’m not claiming I would have been outstanding. That’s pure conjecture on my part—I’m saying only that I might have been an outstanding president had I been nominated and elected to that lofty office—and I firmly believe I would have been elected if only I had submitted the proper documents and campaigned—if fact, based on a recent election to select a Democratic nominee for the Senate in South Carolina, I probably could have skipped the campaign. Or I could have entered the medical profession and perhaps perfected a miraculous serum that with a single injection would cure those afflicted with one or more of any existing diseases. The cure would guarantee no recurrence and provide immunity to any new disease that might appear, regardless of its nature—and if given at birth the serum would provide total immunity to new-borns for life. Here as above, please note that I’m not claiming that I would have perfected such a serum. That also is conjecture on my part. I’m saying only that I might have perfected such a serum had I chosen to enter the medical profession and properly applied myself to my studies. I began life in the Customs Service as an inspector trainee at a small port of entry on the Texas-Mexico border and quickly progressed to the journeyman level. I was promoted to a first-level supervisory position in good time and relocated to a different small port of entry on the Texas-Mexico border. I was promoted to a second-level supervisory position shortly thereafter and relocated to a much larger port of entry on the Texas-Mexico border. For purposes of anonymity I will not reveal the name of that port, but for reference I will say that it is the port located at the tip of Texas near the junction of the Rio Grande River with the Gulf of Mexico. Before I reported for duty at that anonymous port I was given an extensive and intensive briefing by the person in charge of the district that included my new duty station. I was briefed on several defective procedures that existed among the work force and told to do everything possible to effect change—to correct the defects. One of the procedures considered defective was the excessive overtime reported, ostensibly needed to accomplish the mission. Another was the deplorable documentation of searches, seizures and arrests made by enforcement personnel, documents that were used in criminal prosecution and were vital to statistical studies of port activities. The reports, almost without exception, showed serious deficiencies in basis English writing skills. They were deficient in every aspect of the English language including spelling, sentence construction, punctuation and grammar and in most cases were either too lengthy or too brief. All enforcement documents were prepared in longhand by the inspectors and routed to clerical personnel for typing before being presented for supervisory approval. The reports were routinely approved without corrections and then moved up the chain of command for archival, to be used for statistical and prosecution purposes. I used my supervisory prerogative to have the documents routed to me before being typed, and armed myself with a supply of red ink pens. I noted the errors in red for each document, indicated the correction to be made and returned each document to the error-maker, requesting that the errors be corrected and returned to me before submission to the typing pool. My intent was to inform—to educate, if you will—the inspectors in order to improve their writing skills and thus to upgrade our submissions to headquarters. I stirred up a hornets’ nest that produced stings that I can still feel and I have the scars to prove it, although I left that hornets’ nest 27 years ago. In 1980 I became the target of every inspector in a force of fifty. From the moment I returned the first document rife with red ink, liberally spotted and resembling an extreme case of measles, I became a target for every inspector in a force of fifty, and the official grievance forms, a procedure authorized by Customs’ contract with a national union to which the inspectors belonged, began to pile up on my desk, a situation that existed for the three and one-half years. The rules for grievances allowed the one ostensibly grieved to file the grievance with any supervisor, ranging from the most junior first-level supervisor to the top level supervisor at that border location, without regard to the action or the individual supervisor that prompted the so-called grievance. Our cadre of supervisors totaled nine—five first-level, two at my secondary level, one chief supervisor and the top dog with the upstairs office and a private secretary. As an aside, I was one of two second-level supervisors—the other second-level supervisor was one with no horns and no huevos—you can Google huevos if you like—I don’t mind. There is absolutely no doubt that the order to put my name on every grievance came from union headquarters. As a result of that order, I achieved considerable notoriety and became a legend in my own time. I received more grievances than any other supervisor in the Service, and I answered every grievance and every one was found in my favor—no exceptions! I mentioned overtime usage at the beginning of this posting—under the direction of the chief supervisor we significantly reduced the cost of overtime at the station—in short, we changed the deep pockets of overtime to shallow pockets and in some instances no pockets. The myriad grievances on changes in overtime practices, regardless of which supervisor caused the alleged grievance, bore my name—all of those were also ultimately found in my favor. All this commotion was apparently caused by my using a red ink pen to mark the documents, rather than blue or pink or purple, anything other than red. A great hue and cry arose. I was accused and charged with returning the inspection force to the classroom, claiming that I was treating them like children, exposing them to ridicule, embarrassing them by calling attention to unimportant items such as spelling, subject and object agreement, paragraphing, ad nauseum. In retrospect, had I been authorized to return them to school it would have been to the elementary level—correct grammar should have been learned somewhere around the fourth-grade level. Just one final note: I left that cantankerous force in the rear view mirror on my way to the U. S. Customs national headquarters following my promotion to the Civil Service grade of GM-13, a grade equal to that of a Lieutenant Colonel in the military forces, with equal pay and equal responsibilities. PeeEss: If I had that three-and-one-half-year ordeal to do over again, I would cheerfully accept the challenge, even though it may have shortened my life. However, I’m approaching the octogenarian mark in longevity and I feel great, so there—take that, southernmost border crossing on the Texas-Mexico border! The southernmost legal crossing, that is. Many much-used illegal crossings exist along our border with Mexico, including some on the Arizona border that appear to be condoned and supported by various levels of the present administration in our nation’s capital. Michael Jackson—back in the news . . . The King of Pop is back in the news. We have now learned that each of his (?) three children will inherit $300,000,000 on their thirtieth birthday. In celebration of that news I am dredging up a posting I made back in July of 2009 following the death of Michael Jackson in June of that year. Apparently hidden from view, that posting has garnered only four votes—three of which are mine—and no comments, so I’m bringing it out from the darkness of Past Postings into the bright light of today’s news. Yes, I vote for my own postings, but only if I feel they are worthy of a vote—and no, I have never given myself a negative vote, nor have I ever given another blogger a negative vote. My mother taught me that if I cannot say something good about someone, I shouldn’t say anything. I will vote excellent for every posting I place on Word Press, if for no other reason than to congratulate myself for taking the time and effort to write. Any comment I might make to another blogger is intended to congratulate the writer, or to offer what I believe to be constructive criticism—the blogger is always free to edit, accept or delete such comments. I cheerfully admit that my reasoning is circular, but so be it. As military people like to say, I’m running this posting up the flagpole to see if anyone salutes it—yes, they say that—they really do. I know, I know—Jackson was found not guilty—so was O. J. Simpson. I was somewhat startled by the Jackson is recalled part of the title—my first thought was that the King of Pop had been recalled from whatever dimension he entered following his death. And based on the news coverage, both by network news and cable outlets, my next thought was that perhaps the recall referred to his return to the Deity, the One that lovingly created him and endowed him with a super abundance of talent, and then allowed him to entertain the world for more than four decades. Apparently the Deity was either occupied with other duties or looked the other way during the times Jackson was engaged in those actions for which he was charged, namely the sexual abuse of young boys. I realize, of course, that Robert Rivard used the term recalled to describe the feverish remembrance by the United States and the rest of the world of Jackson’s accomplishments in the fields of music and entertainment. This outpouring of emotion could only be equaled by combining the emotion which followed the deaths of John Kennedy, Franklin Delano Roosevelt, John Lennon, Mother Teresa and Jesus Christ—with America’s entry into World War II and VJ Day thrown in. For those who were not around for it, for those who may have forgotten it and for those who have never heard of it—VJ Day marks the end of World War II—Victory in Japan. The emotion over Michael Jackson’s death reached fever pitch with the lottery that was set up to accommodate the public for his memorial to be held at the Staples Center in Los Angeles—17,500 tickets were offered on-line, and more than a million were requested. I would not be surprised if plans have been formulated and approved for Jackson’s body to lie in state in the Capitol rotunda to allow viewing for mourners, and then be transported with the rider-less horse and the black caisson procession to Arlington, Virginia for interment in the National Cemetery. In fact, judging from everything that has transpired so far, I will be sorely disappointed if that doesn’t happen. And I predict that in the near future, plans for a Michael Jackson monument on the Washington Mall will be finalized and approved, and will likely be paid for with federal funds, probably from one of the stimulus packages. I hope that Rivard’s article will be picked up by news outlets and made available world-wide—the San Antonio Express-News is not in the same league as the Washington Post or the New York Times, so it will probably remain here at the local level. However, perhaps this posting will be picked up and carried on by my viewers. I first came to San Antonio in 1963 and I have called it home ever since, with several absences, some brief and some in terms of years, all made necessary by military service and my later employment in federal Civil Service. I’ve submitted many letters to the editor over the years—some were accepted, some were rejected—some I expected to be tossed but submitted them anyway. An example of that can be found in one of the web sites shown below. I no longer submit letters to the San Antonio Express-News editor. My reasons for not writing to the editor of the only daily newspaper in Texas’ third largest city—the city I have called home for the past 46 years—can be found in two previous postings to this blog. Rather than having my submissions summarily rejected, I prefer to blog them. I welcome and will respond to all comments, whether positive or negative. I married my barber . . . The above title seemed appropriate at first, but on serious reflection I realized that the title involved certain conclusions that could possibility be drawn by viewers. I therefore hasten to add that my barber is a lady, a lady that I married in 1952 and one that has hung around and tolerated me for the past 57 years, and our union continues in its 58th year with no abatement of the passions that prompted the marriage (that simply means that we still love one another). I can understand my love for her, but I have never fully understood her love for me. Que sera, sera—whatever will be, will be! My wife became my barber in 1983, the year that we left the sanctity and security of Texas’ Rio Grande Valley and relocated to the Washington, D.C. area following my unlikely promotion to a higher level in my duties as a law-enforcement officer in our federal Civil Service. I managed to endure those duties for three years before I bailed out and returned to Texas—to Houston, not to the Rio Grande Valley—and six months later to San Antonio for an additional ten years in service and retirement in 1997. Texas is our adoptive father and San Antonio is our adoptive mother—we love both, and we intend to remain in that family throughout this life and the next—see, I told you we love them! The above two paragraphs comprise the foundation for this posting, one that could accurately be titled, “The time my wife cut my hair and my left ear prior to my travel from Arlington, Virginia to New York, NY and on to London, England and Johannesburg, South Africa and finally to Botswana, the capital city of the sovereign nation of Botswana, Africa.” That trip and its several stops, both outbound and return, are fodder for later posts and will be attended to in time. Just as a teaser, I will tell you that at that time, apartheid still ruled in South Africa—click here for details of that nation’s apartheid rule from 1948 until 1994. I was running a bit behind for my flight out of National Airport (later renamed Ronald Reagan National Airport), but I was desperately in need of a trim. My barber gave me the trim but inadvertently removed a one-inch strip of skin from the outer portion of my left ear, a wound that bled very little but quickly became an unsightly scab—it ultimately healed with no discernible after effects, but that one-inch strip figured prominently in my trip to exotic foreign countries. It became a topic for conversation, and attracted stares from everyone I faced on the trip, including immigration and customs officers, taxi drivers, airline employees and fellow travelers. While few questioned the wound, their gaze invariably strayed from eye contact to ear contact, a really disconcerting situation. It made the viewer appear uninvolved, and somewhat cross-eyed. At first I felt obligated to explain the wound, so I assembled several canned responses to use when someone asked, “What happened to your ear?” I finally gave that up, and either ignored the question or steered the conversation in a different direction. Bummer! Oh, I just remembered that my mother labeled eyes that seemed to be looking in different directions as “A and P eyes.” She explained that by saying that one looked toward the Atlantic and the other toward the Pacific. I make no apology for her little joke, nor do I feel compelled to apologize for recounting it here. 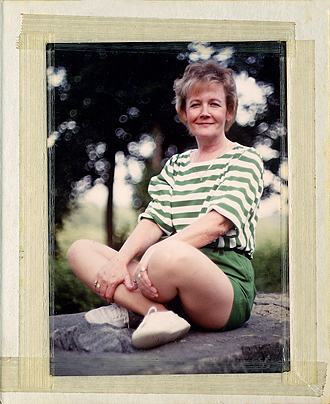 My mother was a lovely lady with no hint of bias of any fashion toward any race, color, or creed, nor was she biased toward noticeable physical or mental aberrations. And as the adage goes, the fruit never falls far from the tree—like mother, like son—seriously!